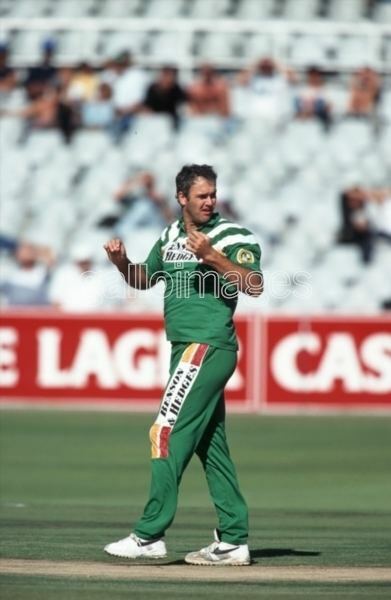 Tertius Bosch (14 March 1966 in Vereeniging, Transvaal – 14 February 2000 in Westville, KwaZulu-Natal) was a South African cricketer who played in one Test and two ODIs in 1992. He appeared on the cricket scene while studying for a dental degree at the University of Pretoria in the 1986/1987 season. 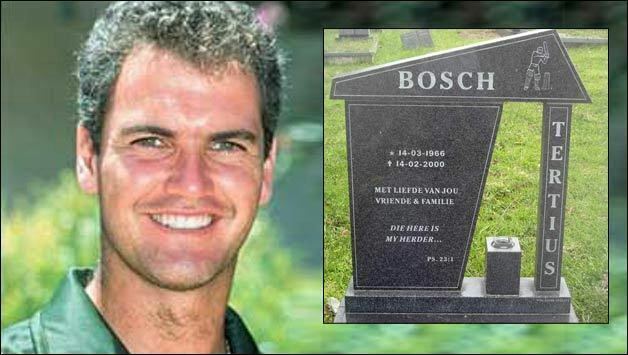 Bosch's official cause of death was Guillain–Barré syndrome, but there were allegations made of poisoning by his wife Karen Anne. In 2003, Bosch's sister applied successfully to the supreme court to stop his widow from inheriting the estate. 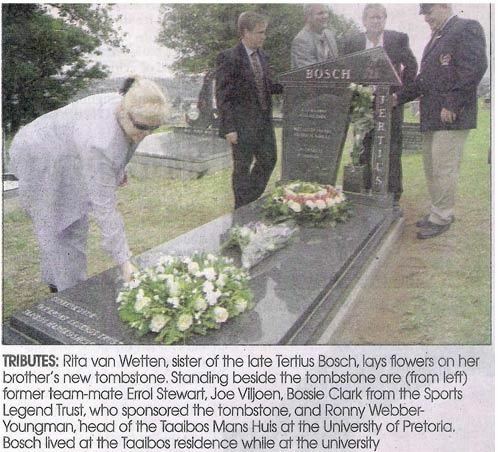 In 2005, his body was removed from Queensburgh cemetery for exhumation. His siblings hired private investigators and there were claims he suspected his wife of infidelity and had hired investigators to monitor her.